Fun Fact: Chloe recently sent us a package from LA filled with amamamamzing vintage clothes that she found for us! When I was ten, I used to always wear a bright neon Vuarnet windbreaker jacket and this prezzy was the PERRRFECT gift! Thanks ChloSTAR! Pin It Now! 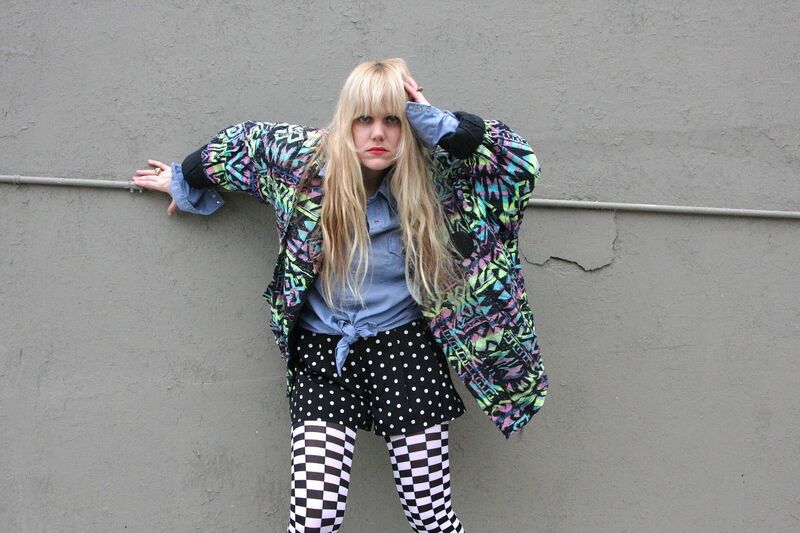 that jacket and those tights together are soooo rad! it's so fun and exciting! i love it when you see cool outfits like that, cause it's not too often! also paired with the vintage Chanel bag it's even better! ps that movie is also so rad..."no way, yes wayyy!" Wowowow! I am in love all over again! I miss you gals!